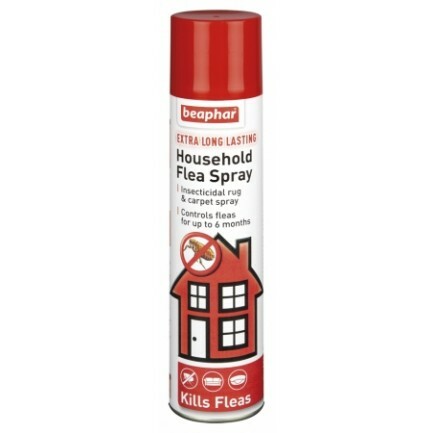 Beaphar Extra Long Lasting Household Flea Spray is premium flea control product. It gives rapid knockdown of adult and larval fleas as well other crawling pests such as cockroaches, ants, or silverfish. Contains the Insect Growth Regulator "Methoprene" which prevents flea eggs or flea larvae from maturing into adults, for up to six months. Once dry, the product is an ideal flea treatment for carpets that children may play or crawl on.